At the inaugural Water Industry Alliance member tour guests were treated to an exclusive look at three of Adelaide’s leading manufacturing facilities. RPC Pipe Systems, based in Lonsdale, is an advanced manufacturing company that specialises in Fibreglass (GRP) Pipes. RPC Pipe Systems employs approximately 65 staff and distributes its Flowtite®pipe and fittings throughout Australia, New Zealand and the Pacific. Guests were able to witness a pipe under constructions and view first-hand RPC’s high-tech testing facilities. The tour then continued to SAGE Group’s new custom-built facility at Tonsley. Only six weeks old but already in full-swing, the high-tech facility houses the company’s 120 local staff, the corporate head office, national manufacturing facility and the three brands that fall under the SAGE Group — SAGE Automation, internet-of-things and big data consultancy business Nukon and NSAG, a joint venture with Spanish defence shipbuilder Navantia. 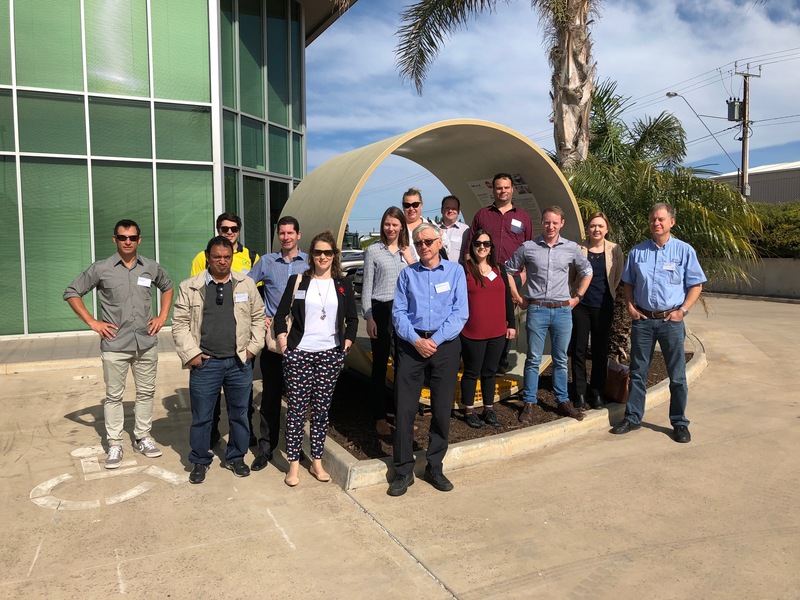 Concluding at pump manufacturer Grundfos, guests toured the 17,355 square metre Regency Park site and along with experiencing the production cycle of a pump, they were able to view the recently-completed rainwater harvesting system. The system comprises of eight 40 kL tanks that collect rainwater from 1,500 square metres of roof catchment area. The harvested water is disinfected using ultraviolet (UV) technology and once treated, the water is pumped using a Grundfos system to all toilets and hand basins on the premises, as well as to all pump test tanks. To express interest in a future tour please contact the Water Industry Alliance.